The core training consists of the following five workshops. The first three classes (CST1, CST2 and SER1) are all four days long and cost £580+VAT (£696). The fourth class (SER2) is also four days long and costs £610 +VAT (£732). The Advanced 1 is five days, held on retreat and costs £1150 plus accommodation, which reflects the small class size and depth of the work. Click 'read more' to find out about the content and highlights of each class. Ready to book? Click here to ENROL (or the enrol tab under 'Our Courses' menu. You will also find info on our (commit-to-core-courses----save-you-money----pay-in-smaller-regular-amounts) Core Pack Payment Plan in the enrol pages. CranioSacral Therapy 1 presents the groundwork for learning how to palpate and work with the craniosacral system. A key component of this is learning to feel the craniosacral rhythm and using it both in assessing the whole body and applying the techniques effectively. In CST1, this process begins by practical comparisons of various other body rhythms and learning and feeling what we mean by flexion and extension of the craniosacral system. As a safe and effective start to using this work, Dr Upledger and colleagues developed what we call the 10-step protocol. This is a set of techniques which treat key areas of the body, enabling you to work with and understand the delicate palpatory skills needed, at the same time as getting effective results for your clients. The 10-step technique address bones, fascia and fluid, and include: methods of treating the transverse diaphragms: pelvic, respiratory, thoracic inlet, hyoid and occipitocranial base; the frontal & parietal lifts; sphenoid compression-decompression; temporal mobilisation, ear pull (or bilateral temporal decompression); dural tube evaluation, traction, treatment and TMJ technique... Sound fun?! Relevant anatomy and theoretical concepts are explained so that the left brain is satisfied, while the focus on experiential exploration and practice definitely serves the right brain. Come away with the 10-step treatment protocol you can integrate into your practice immediately or use on family and friends. See our 'Where to Begin' page for entry requirements. Also reading Your Inner Physician and You and chapters 1- 6 of CranioSacral Therapy by Dr Upledger. 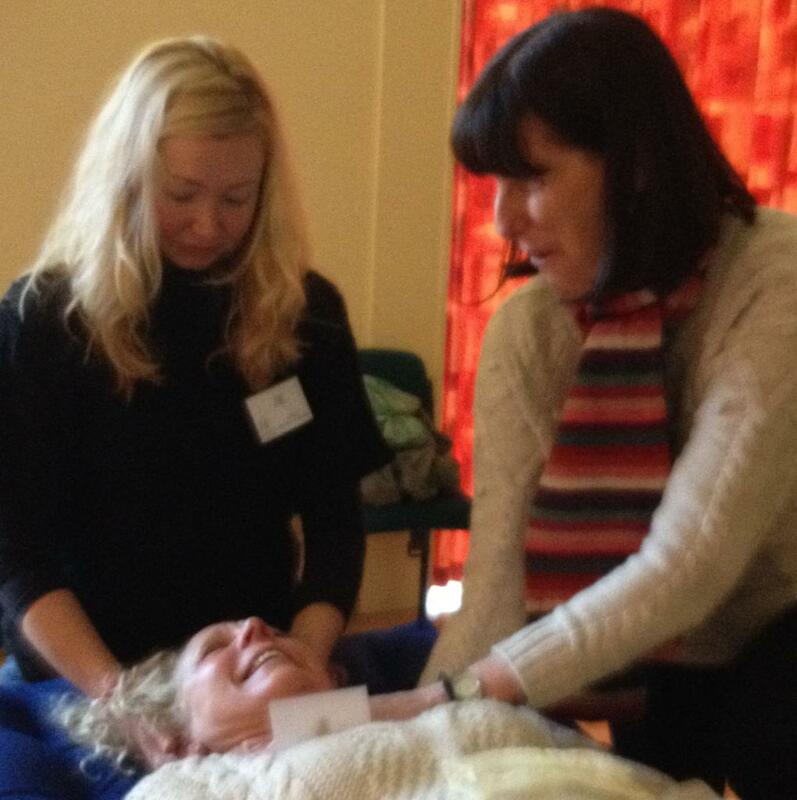 CranioSacral Therapy 2 (CST2) builds on the previous course in a number of ways. You will learn some more techniques to add to and integrate within the 10 steps, more ways to evaluate the whole body and therefore know where to work, and be introduced to Dr Upledger’s concept of the ‘energy cyst’, which is one of the unique aspects of his work. The course begins with the study of cranial base distortions as perceived, diagnosed and treated by Dr William Sutherland, the ‘father’ of cranial osteopathy. Specifically, we mean the sphenobasilar joint and how to use the movement of the sphenoid to evaluate and treat any anomolies here. You will be able to understand the different ways this area can be in dysfunction and identify, evaluate and correct it. Have you ever considered the extent to which the facial bones and those of the hard palate might affect the craniosacral system? You will learn some of the finer anatomical details of these: nasals, zygoma, hard palate, mandible and temporomandibular joint and how to evaluate and treat these areas from inside the mouth. New approaches to whole body evaluation will increase your palatory skills again; you will feel the difference between using the craniosacral rhythm, the energy cyst and pulls of the fascia to help you locate areas of ‘issue’. The idea of allowing tissue to ‘unwind’ will be practiced in relation to the limbs (we call it ‘regional unwinding’). A few other treats will be thrown in and an introduction to SomatoEmotional Release® will also be presented. You will gain confidence in ways to evaluate the whole body. You will have more techniques under your belt to incorporate into the 10-step protocol or to treat the cranial base, mouth and whole jaw complex. It gets really fun! By the end of this course, you should be able to evaluate general vitality, motivation, emotional status and biochemical dysfunction using the craniosacral rhythm. CST1 and 75-100 practice experiences of the 10-step protocol. SomatoEmotional Release (SER)® is a therapeutic process that uses and expands on the principles of CranioSacral Therapy to help rid the mind and body of the residual effects of trauma. SER1 offers ways to enhance the results you get from using CST and expand the areas in which it can be useful. By the end of the course, you should be able to help clients dissipate residual effects of past trauma and negative emotional events, which is often necessary to allow many people to let go of the deepest causes of pain and illness. To get to this, you will learn more techniques to release the tissues of the mouth and throat and why this is so important. You will find out more about the physiological mechanism of disease, learn specific techniques for finding and releasing energy cysts, and how to incorporate the craniosacral rhythm into this level of work. The other key part of the SER process is the ability to use imagery and dialogue. As you explore some of the ways to do this, your improved listening and comprehension skills will increase your understanding of verbal and non-verbal signals. This, in turn, will help to encourage clients to work cooperatively with you in this process and become active in improving their own health. During this course you will participate in numerous hands-on experiences to practice facilitating the process of SomatoEmotional Release®. What will you learn from coming on this course? Overall, this course will take your treatments to a new level. For some people, it can be a very new way to work, while others will find it more familiar, but it is the integration of the imagery and dialogue with the special features of the craniosacral system that give SomatoEmotional Release® its edge and make it worth talking about! An introduction to and a historical review of the development of the concepts of energy cysts and SomatoEmotional Release®. CST2 and at least 25 experiences of practicing all of the techniques taught there. This workshop is designed to teach you how the SomatoEmotional Release® techniques can integrate with various other creative imagery and dialoguing methods. By attending this class, with its focus on the development of therapeutic imagery and dialoguing skills, you will become more proficient in the SER techniques. With an emphasis on self-healing and wholeness, our goal as practitioners is to enable a comfortable and holistic mind-body approach that will help our clients resolve problems and obstacles to their progress and growth. The class begins with a review of the techniques taught in CST2 & SER1 to encourage the expression of suppressed emotion through the release of the throat and hard palate. This is followed by an introduction to psychosynthesis and Gestalt and Jungian psychology. By blending concepts from three schools of psychology with SER and CST, you will add a range of more specific techniques to your toolbox to enable you to work with patients and increase awareness of the ‘inner self’. As in all our courses, participation and practice with fellow students helps you increase both your own self-awareness and your confidence in your practice, strengthening the relationship between the conscious and non-conscious mind and expanding the ways you can assist your clients. To trust your hands more as you experience the gentleness and safety of the SER approach and see the benefits that ensue​. The SomatoEmotional Release® process requires extreme sensitivity on the part of the therapist, and a positive attitude and trust from the patient. The SER2 workshop gives you a greater insight into your patient's issues and specific techniques that enable you to fine-tune your dialoguing skills. Successful completion of the SER1 workshop and practice using the techniques during at least 25 treatments. The Advanced CranioSacral Therapy 1 workshop offers an extraordinary experience for the serious CranioSacral Therapy practitioner. It provides the opportunity to draw together all the techniques and skills taught in previous workshops, through giving and receiving treatments, supported by a senior UI instructor and two highly experienced staff therapists. While mornings are given over to discussion of the work and the experiences and insights being gained, during the afternoon sessions, each student is treated by the other four in the group, with the supervisory team giving guidance when appropriate. This course is five days long, residential and intense and helps you take a big leap in your practice. There are only 10 participants and you work in two groups of 5. This means that there is plenty of time for individual support, both of your learning and practical skills and of your own process through the treatments. Pull together everything learned in previous courses and take your skill and understanding of this in-depth therapy to a new level. Successful completion of the SER2 workshop, as well as being ready to do deep introspective work, and be comfortable giving and receiving SomatoEmotional Release. Required advance reading - none - you should have done it all by now! If the courses are only four days, what do I have to do between them? Because they are postgraduate (except if you are part of the Training from Scratch programme) we do not have any formal assessment or testing between courses. Receive at least two treatments from an experienced practitioner - who has completed their advanced class and/or is techniques qualified. This will really help you to get the best value from the course you have just done, as well as from the next one. Continue to receive treatments from an experienced practitoner (again, it can be a different person). 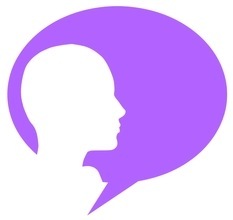 After SER1, we encourage you to start to use the dialogue techniques as soon as possible and also to work alongside a more advanced practitioner or Study Group Leader. Again, emphasis on getting your own work done will help you hugely in being able to apply the work as fully as possible. So this was all about out Core Curriculum. If you want to know what else we offer, you can either see our extensive range of Further Courses, what to do if you need Training from Scratch, are interested in the Foundation Certificate in Body Science modules or fancy a shorter Introductory Course first. There is also a whole page on our Mentoring Programme. Or go back up to the top menu.